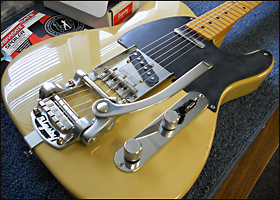 Mounting Kit for Bigsby B5 - Telecaster® Guitars - Order it Now! 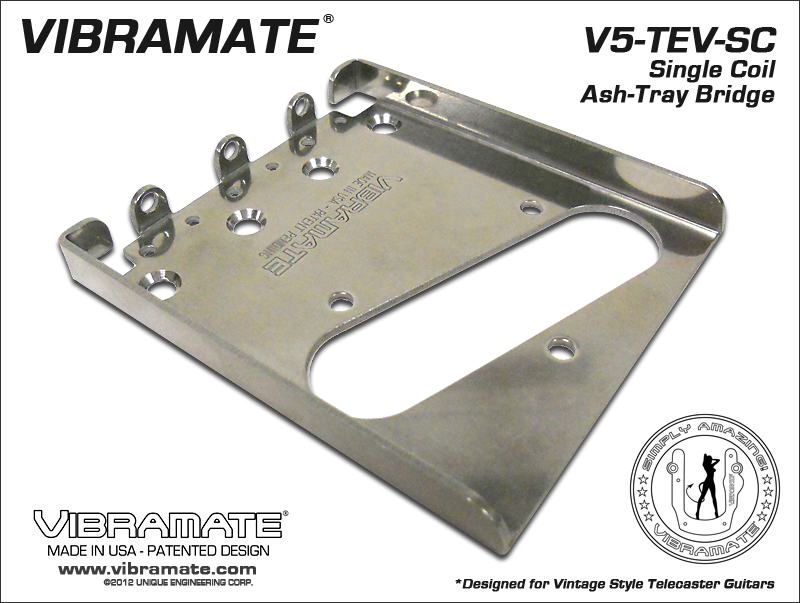 * Note: Vibramate V5 is designed for the Bigsby "Original" B5 Vibrato ONLY and will not work with other variations such as the "Licensed" B50 Model or the Import B500 Model. 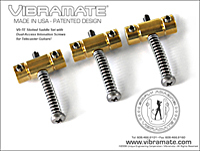 Make sure you have the correct Bigsby Vibrato for proper installation of the Vibramate Kit! 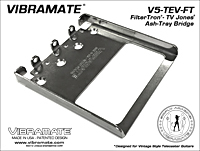 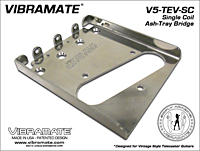 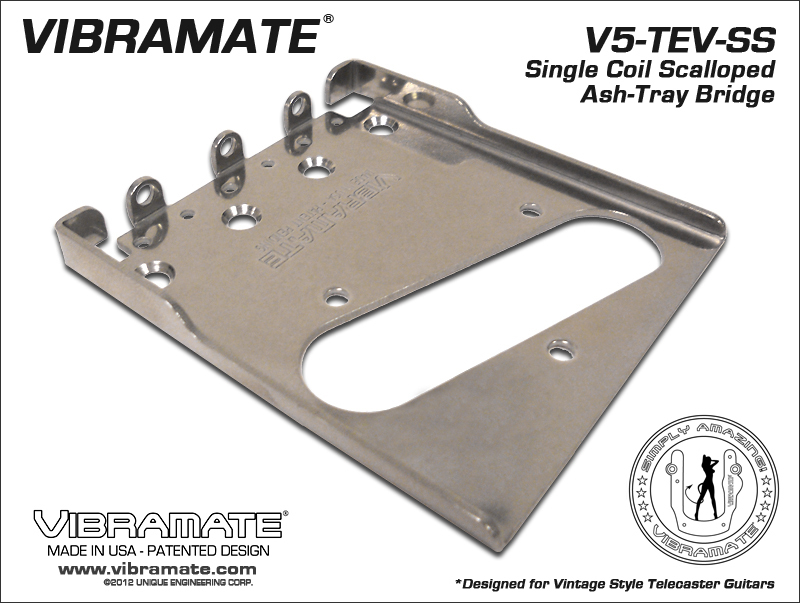 Vibramate V5-TEV Stage II Installs in Minutes with No Drilling! 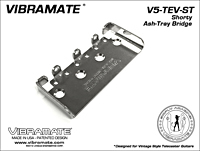 Fits most Telecaster® guitars with vintage style "Ash-Tray" bridges. 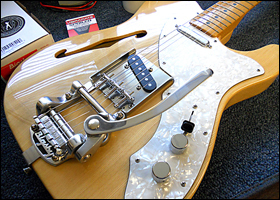 Now you can install a Bigsby Vibrato on your Telecaster® guitar without drilling any holes! 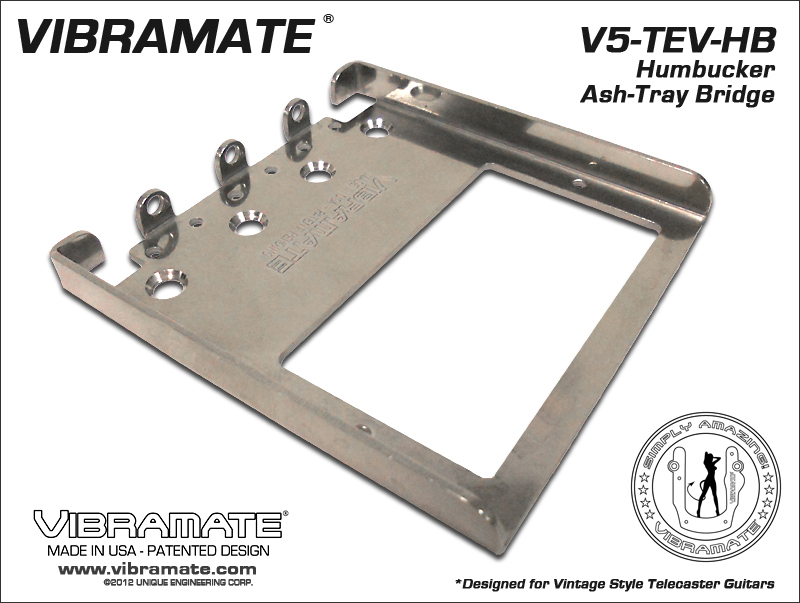 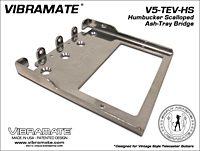 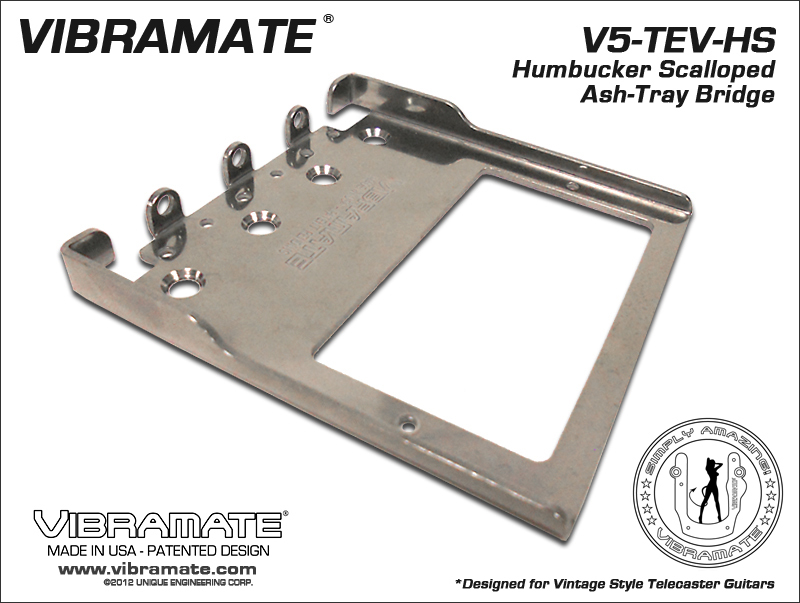 The Vibramate V5-TEV Stage II Model Mounting Kit is designed for a Bigsby B5 Original Vibrato and will fit most standard Telecaster® guitars that have a vintage style "Ash-Tray" bridge and 4-screw mount. 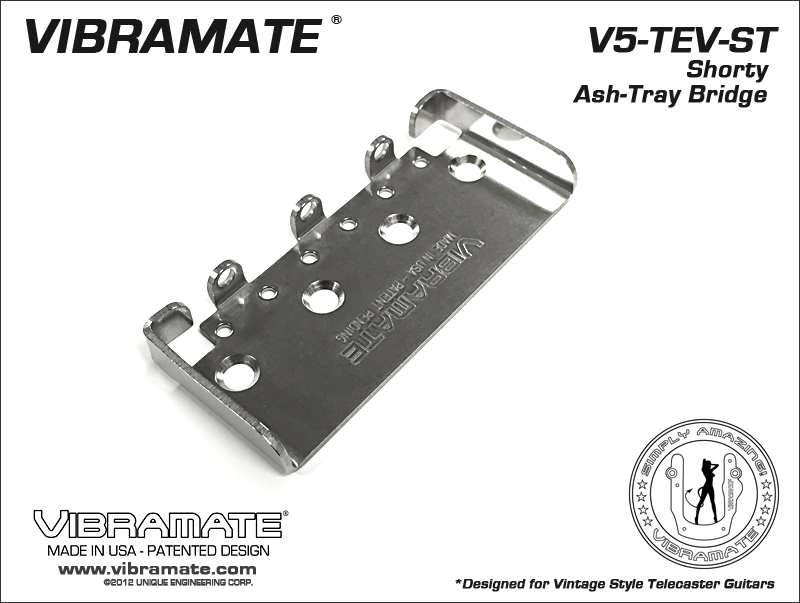 Designed for the traditional Telecaster® player, the Vibramate V5-TEV mounting kit has the same basic look and feel as the original vintage style "ash-tray" bridge while providing for a clean and easy Bigsby Vibrato installation. 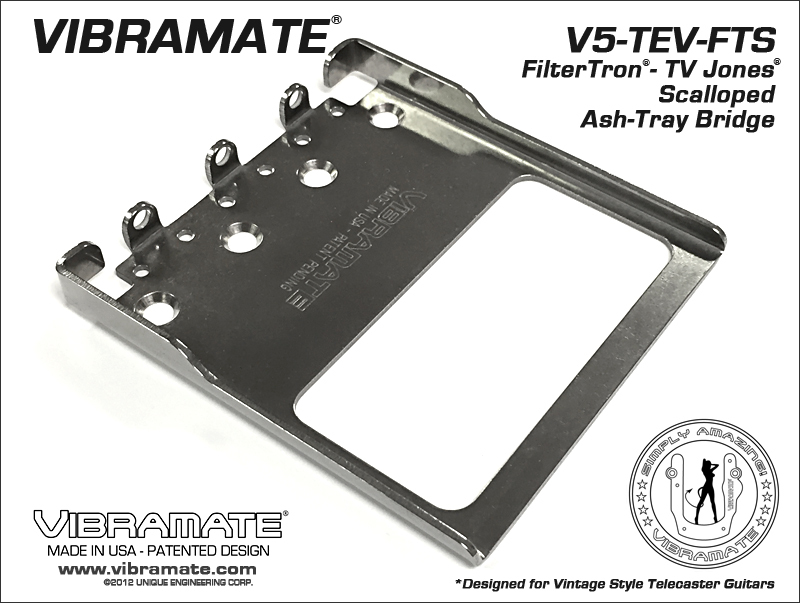 The Vibramate V5-TEV Stage II mounting kit modular design allows you to mix-n-match Vibramate componants for a variety of alternative options from various tailpieces to Humbucker, Left Hand and Scalloped Bridge Plates. 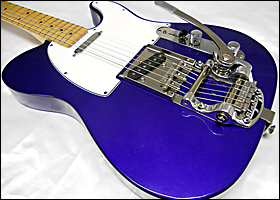 Now available is a modular tailpiece that adapts the Popular "F" Logo Bigsby Vibrato made specifically for Fender installations. 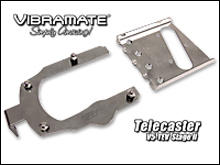 Designed to work with Vibramate Dual Access Bridge Saddles. 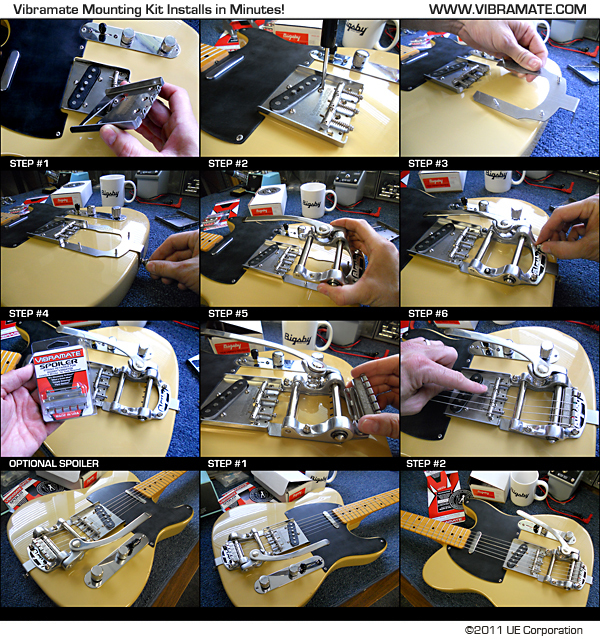 Please refer to our online diagram to check mounting dimension requirements for your specific guitar before ordering.